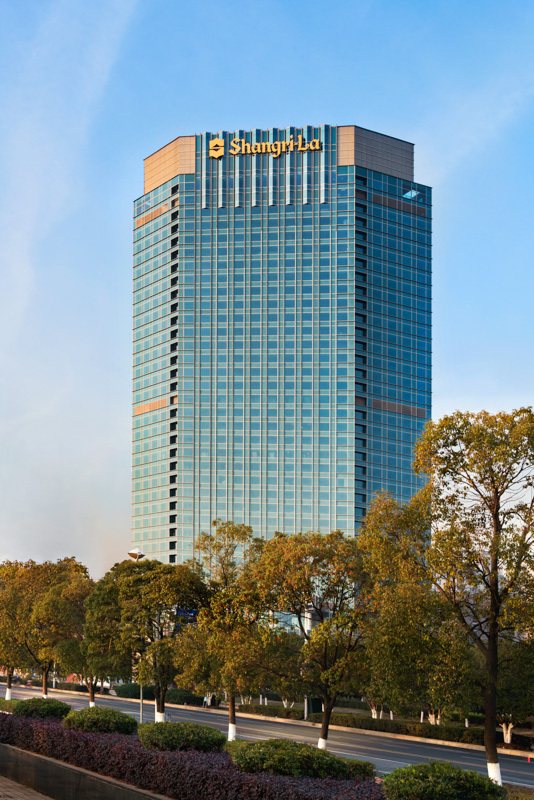 Last December brought another great opportunity to work with Shangri-La, this time the Nanchang Shangri-La needed our photography skills for four shots of their new hotel. We planned to arrive the day before the shoot, so we could look around the different locations. We arrived at Hongqiao airport in the morning but could not check-in as our flight had been canceled. As a result we had to take another flight from Pudong airport. 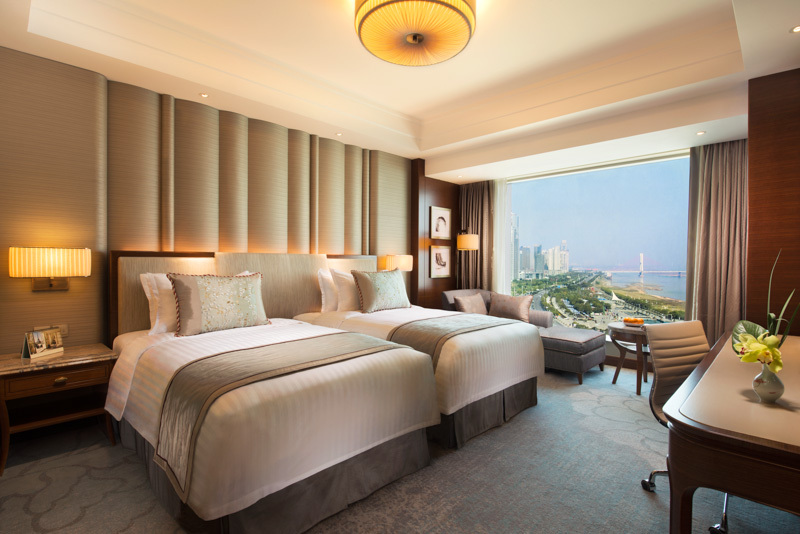 We called our driver to turn back to the airport and pick us up to take us to Pudong airport. Luckily we still had time to get to Pudong and catch the flight. Typically however, our new flight got delayed so we waited for around 5 ~ 6 hours. By the time we got Nanchang, it was evening already. We had to do a rush recce though all the locations needing to be photographed. It was pretty intense only having a day and half for the 4 shots. Before arriving at Nanchang the plan was to shoot at least one shot for a destination photo, but the time restraints meant that this was not possible. On the first day, we started with the exterior; it was a very cold morning. Scott was so preoccupied with the shoot that he had forgotten to bring his gloves and by the end of the shoot, his fingers were numb to the point that he struggled to press the cameras shutter release. After we finished the first shot, Scott was in pain, but we still managed to get a really nice shot. The sky was so clear and the sunlight was optimal. The next day, we needed to shoot another destination shot. The subject was the Pavilion of Prince Teng, a landmark of Nanchang. The communication manger had an idea of the shot that she wanted, so we arrived on location in the early morning, when it was still dark and started to look for the right angle to achieve the shot. The area was in the midst of demolition, meaning the buildings in the surrounding area were not particularly safe. We found the perfect vantage on the top floor of one of the buildings. In an abandoned room in somone’s now vacant home we got the perfect angle to photograph the pavilion. Although it was not the biggest shoot, only having to take 4 shots, it was a very intense job. We combated the shoot’s challenges and were blessed by the results.